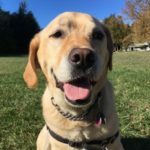 We give you peace of mind knowing that your canine companion has a consistent routine of exercise, stimulation, and attention while you are at work or away. 60 & 90 minute Group Walks through the plethora of trails at Pacific Spirit Park. Morning or afternoon. Relief Breaks, which are great for puppies and seniors. Looking for other options? Perhaps day-sitting, weekend walks, cat visits & help with senior dogs? We would be happy to connect! Gift certificates available. 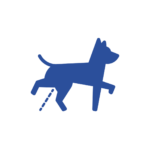 At Paws at Play Dog Walking, our goal is to have a positive impact on your dog’s life. 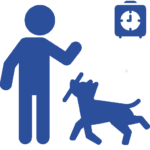 We reinforce the basic obedience commands (sit, lie down, stay, come, heel) and promote good leash manners, as well as, provide your dog with a healthy and fun outlet for their excess energy! 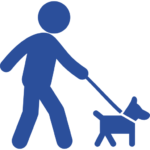 We ensure the safety and well-being of your dog every time we head out to the park. This option is ideal for unsocial dogs, dogs with health issues, or for senior doggies. Please note, we will not be taking any new clients for this service. 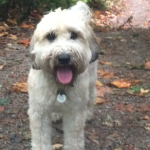 4 to 6 dogs for a 60-minute walk through Pacific Spirit Park. Your dog will get the chance to socialize, exercise, and sniff to their heart’s content. Book 10 walks, prepay and receive a 5% discount. 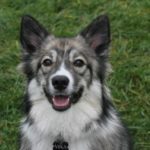 This option is great for those dogs who need a behaviour tune-up. 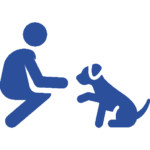 During the initial consultation, Trica will evaluate your dog and determine the appropriate training plan. 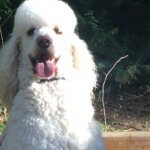 All packages will be tailored to your specific dog and their needs. 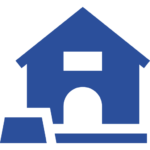 This service is perfect for weekend getaways or longer periods of time where you want your dog to feel comfortable in their own home! *For holidays, special needs pets, and/or additional pets please contact. Complimentary drop-off’s at the vet or groomers, for regular clients. 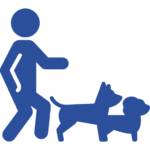 For each pooch (and corresponding human) that you refer, that regularly walks with us, you will receive a complimentary walk to show our appreciation. 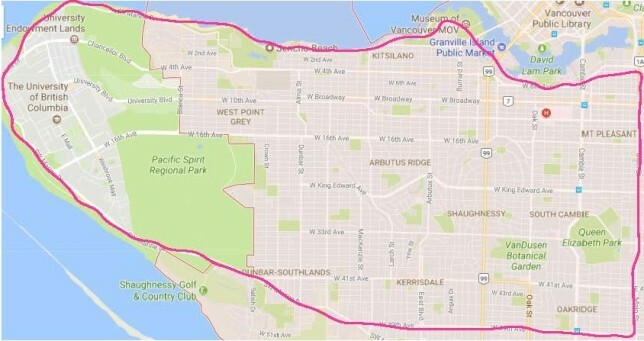 Kerrisdale, Kitsilano, Point Grey, Dunbar, Oakridge, Fairview, Mt. Pleasant, Shaughnessy, South Cambie, Mackenzie Heights, Arbutus Ridge, Quilchena, The Endowment Lands and South Granville. 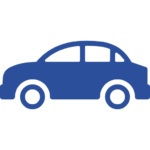 Please note, we do not service the downtown area and would be happy to make recommendations! • Felix loves the walks and is excited to go. • Felix is safe and well looked after and always hydrated. • Walks are mostly in trails rather than on concrete. • Value for the cost. • Daily reports with photos. • Felix comes home with paws dried even in the most inclement weather. • Walkers have keys to house with a single use security alarm code and are bonded. Our whoodle Scout has been with Paws since she was 4 months old! The Paws team taught her the forest running ropes. Three years in, she waits patiently every morning. When she sees the truck she spins into action ready to head off to the forest. I never worry about her. I know that she is safe; she gets a lot of love and great exercise. We have been very happy with the service! Mika is tired and content after getting her walk in!